ConferenceSeries Ltd invites all the participants from all over the world to attend '6th Conference and Exhibition on Regulatory Affairs and IPR' during Sep 29 - 30, 2016 in Orlando, USA which includes prompt keynote presentations, Oral talks, Poster presentations and Exhibitions. Regulatory Affairs department is the strength of Pharmaceutical Industry. It is the revenue generator for pharmaceutical Industry. The Regulatory Affairs department is an important part of the pharmaceutical companies. More than 15 years span is required to develop and launch a new pharmaceutical product in the market. The Regulatory Affairs Agencies explains expenditure spent on each drug annually is $850 million in US. 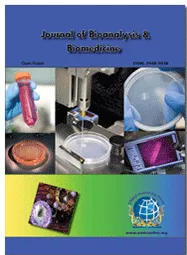 ConferenceSeries Ltd organizes a series of 1000+ Global Events inclusive of 600+ Conferences, 500+ Upcoming and Previous Symposiums and Workshops in USA, Europe & Asia with support from 1000 more scientific societies and publishes 700+ Open access journals which contains over 30000 eminent personalities, reputed scientists as editorial board members. Regulatory affairs is a comparatively new profession which developed from the desire of governments to protect public health by controlling the safety and efficacy of products in areas including pharmaceuticals, veterinary medicines, medical devices, pesticides, agrochemicals, cosmetics and complementary medicines. 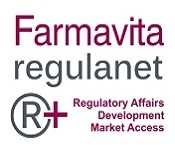 Regulatory Affairs is involved in the development of new medicinal products from early on, by integrating regulatory principles and by preparing and submitting the relevant regulatory dossiers to health authorities. Regulatory Affairs is actively involved in every stage of development of a new medicine and in the post-marketing activities with authorised medicinal products. The Regulatory Affairs department is an important part of the organisational structure of pharmaceutical industry. Internally it liaises at the interphase of drug development, manufacturing, marketing and clinical research. Externally it is the key interface between the company and the regulatory authorities. Global Pharmaceutical Industry Summit August 22-24, 2016 Vienna, Austria; 2nd Separation Techniques Conference September 26-28, 2016 Valencia, Spain; Conference on Pharma Marketing November 10-11, 2016 Alicante, Spain; 5th Summit on Good Manufacturing Practices, GCP and Quality Control August 12-13, 2016 Toronto, Canada, USA; Conference on Generic Drug Market Nov 07-09, 2016 Barcelona, Spain; Conference on Contract Manufacturing Nov 07-09, 2016 Barcelona, Spain; RAPS Regulatory Convergence September 17-20, 2016 CA, USA; 9th Annual Pharmaceutical Regulatory Affairs Asia August 02-06, 2016 Suntec, Singapore; 15th EGA Regulatory and Scientific Affairs Conference 28-29, January 2016 London, UK; 2nd Annual Pharma Market Asia August 02-06, 2016 Suntec, Singapore; Pharmaceutical Compliance Asia August 02-06, 2016 Suntec, Singapore. Regulatory Affairs Professional Society (RAPS), The Center for Professional Advancement (CfPA), The Canadian Association of Professionals in Regulatory Affairs (CAPRA), American Chemical Society, The Organisation for Professionals In Regulatory Affairs (TOPRA). Working with federal, state and local regulatory agencies and personnel on specific issues affecting their business i.e., working with such agencies as the Food and Drug Administration or European Medicines Agency (pharmaceuticals and medical devices); The Department of Energy; or the Securities and Exchange Commission (banking).Advising their companies on the regulatory aspects and climate that would affect proposed activities. i.e., describing the "regulatory climate" around issues such as the promotion of prescription drugs and Sarbanes-Oxley compliance. A regulatory-science driven regulatory strategy is essential as part of today’s biopharmaceutical product early development planning. A well-prepared regulatory strategy will align the proposed clinical development plan with business objectives, and pre-emptively identify challenges, as well as, proposed alternative/innovative approaches to new product development which leverage new standards for evidence generation supporting continuing development and global market authorization. A regulatory strategy helps to define key issues/challenges to proactively discuss with Regulatory authorities and also defines key program milestones that are often considered business catalysts driving investor interest and financing. Most importantly, a timely, well-prepared and well-maintained regulatory strategy, with proactive and collaborative interaction with regulatory authorities, is often a differentiating factor for industry leaders bringing commercially successful and innovative products to market in today’s competitive marketplace. Regulatory strategy is a major component of successful biopharmaceutical product development. Covance Global Regulatory Affairs prepares and maintains regulatory-science driven and product-specific global regulatory strategies for many product types, e.g., drugs, biologics, drug-device combinations, vaccines, gene-therapies, cell-therapies, across a range of therapeutic areas and full regulatory strategy support for product development initiatives. 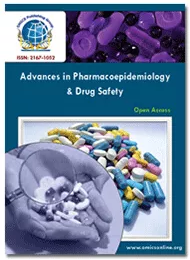 The novel regulatory aspects include Novel Drug Delivery Systems, Medical Affairs, Active Pharmaceutical Ingredients, and Licensing in pharmaceutical production, packaging materials and pharmaceutical excipients. The new setting is testing the resilience and ingenuity of company corporations across the world. Some business models lack the ability to survive the approaching finish of the “blockbuster drug” era, even whereas resource constraints and sluggish innovation hinder the event of recent capabilities required to thrive in a very apace evolving market. These square measure so tumultuous times for the U.S. company trade. 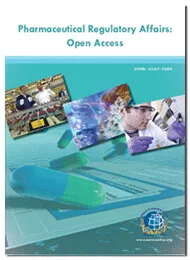 Succeeding in a very shifting world market and evolving tending landscape would require pharmaceutical corporations to adopt innovative business models targeted on novel ways, including: stress on “economic” outcomes: additional attention to the “economic value” of a medical care as a determinant for analysis funding and development. Personalised medicine: Shifting from “blockbuster drugs” to “personalized health and wellbeing.” Externalization and collaboration: additional reliance on external partners, academia, trade consortia and entrepreneurs for innovation, productivity and world growth. Globalization: fast growth to for countries for scientific talent and new markets. Health IT adoption: finance in new technologies to modify innovation and drive efficiencies. Novel Regulatory strategies include both Nano therapeutics and biotech therapeutics. Guidelines on clinical trials for import and manufacture of new drug were introduced in the Drugs and Cosmetics Rules as Schedule Y in 1998. This heralded the entry of clinical trials organization like Quintiles into India and encouraged the pharmaceutical industry to conduct phase III trials. Ethical Guidelines for Biomedical Research on Human subjects was brought by Indian Council of Medical Research (ICMR) in 2000. Good Clinical Practices were adopted by India in 2001 by Central Drugs Standard Control Organization (CDSCO). The National Institute of Medical Statistics of ICMR also set up a clinical trails registry in 2009. A new amendment to the Drugs & Cosmetics Act is seeking to replace the Central Drugs & Services Control Organization (CDSCO) with the Central Drug Authority (CDA) comprising of Drugs Controller General of India as the chairman and five other members. Ten departments will be controlled by the authority include regulatory affairs, imports, new drugs, biotech products, Pharmacovigilance, medical devices and diagnostics, organizational services, training, quality control and legal & consumer affairs. Moreover new bill for regulation of medical devices industry is also in the gambit. Medical Devices Regulatory authority is a body; government is yet to implement to regulate the ballooning medical devices industry whose products are largely approved in other countries and eventually finds entry into Indian market. The regulatory landscape has continued to evolve in response to product safety, regulatory compliance, new technologies, improved understanding of disease states, stakeholder and customer needs and global imperatives, with new and increasing regulations, regulatory guidance and oversight. The Global regulatory affairs group and the regulatory professionals in the biopharmaceutical industry occupy a central and pivotal role to all the functional groups. The regulatory team is charged with a strong leadership role that ensures compliance with regulations and enables understanding and interpretation of the dynamic regulatory landscape, while creating opportunities in the highly-regulated and complex environment. The challenging landscape is largely a result of the success of the biopharmaceutical industry in delivering medical therapies for many disease states, safety catastrophes from use of products post-approval; and product quality compliance issues. These have sharpened regulatory authorities focus on product benefit/risk profiles and related stakeholders’ views on cost effectiveness and patient access. The regulatory professional has to be equipped and poised to effectively guide the organization to success with a credible voice, informed strategic guidance and objective evaluation. Drug business is one in every of the country’s most significant economic engines, commerce $15 billion in merchandise annually and a few of its factories area unit foremost. The federal agency has developed a series of tips for developing GXP (which includes GCP, GLP and GMP regulations) that shield each the life sciences business and also the customers they serve. So as to help FDA-regulated firms, master control offers associate in integrated quality and compliance management code that assures GLP, GCP and GMP rules compliance. Industry practices is also part of quality risk management system, Pharma Regulatory Affairs, Audits and inspections, validation methods (process validation and analytical validation), Qualification, validation, calibration, maintenance, risk analysis Drug Safety and Good Pharmacovigilance practices. A number of our software system applications which will facilitate with GLP GCP GMP rules embody the subsequent solutions: Document Control/ Document Management, Corrective Action Preventive Action (CAPA), modification management, coaching Management, nonconformity Automation software system, Audit Management in step with GLP GCP GMP rules, client complaints software system, forms-based method automation, electronic submissions. In the EU, a biological meditative product is one amongst the active substance(s) created from or extracted from a biological (living) system, and needs, additionally to physico-chemical testing, biological testing for full characterisation. The characterisation of a biological medicative product could be a combination of testing the active substance and therefore the final medicative product at the side of the assembly method and its management. Principal ideas of Intellectual Property Management (IPM) and its importance is a spur to human power and therefore is the advancement of economic and social development. It additionally provides rationalization on the event Associate in implementation of an IPM strategy together with the management of material possession (IP) in an internet setting. Scientific discipline law usually grants the author of associate in intellectual creation exclusive rights for exploiting and cashing in on their creation. Scientific discipline protection is meant to stimulate the power of the human mind for the advantage of all by making certain that profits derived from exploiting a creation benefit the creator. This may encourage activity and permit investors in analysis and development a good come on their investment. Scientific discipline confers on people, enterprises or alternative entities the correct to exclude others from the employment of their creations safety and quality regulation in labelling. Consequently, material possession rights (IPRs) could have an on the spot Associate in substantial impact on trade because the owner of an IPR could - through the social control of such a right - forestall the manufacture, use or sale of a product which includes the IPR. For this reason management over the intangible (IPR) connotes management of the merchandise and markets. Scientific discipline protection encourages the publication, distribution and speech act of the creation to the general public, instead of keeping it secret whereas at identical time encouraging industrial enterprises to pick out inventive works for exploitation. Material possession legal titles relates to the acquisition and use of a variety of rights covering completely different form of creations. Patents in the pharmaceutical industry include both legal and ethical issues. This foundation-level module is the ideal introduction for new entrants to the field of pharmaceutical regulatory affairs and compliance. It describes the principal requirements that must be satisfied to gain and maintain approval to market medicinal products in the USA and Europe. The legal framework and the roles of major players in regulation are presented. The life-cycle of a drug is outlined. The various procedures available for assessment and approval of products are described and their requirements outlined. Obligations to be fulfilled after marketing approval are discussed. Global regulatory affairs groups in industry provide worldwide, strategic leadership in and comprehensive direction of the government regulatory requirements for product introduction and commercialization, utilizing regulatory knowledge to ensure compliance and regulatory intelligence and create opportunities in a highly-regulated environment. The global regulatory affairs group has strategic and operational functions, requiring precision and flawless execution, as a company’s success relies on, in part, the guidance and rigorous assessment provided by the regulatory affairs team. The key product development, manufacturing and registration milestones (such as Investigational New Drug filing, end of phase II, phase III, New Drug Application submissions, regulatory agency review timetable and product approvals), which are the corporate valuation and decision points, are based on critical regulatory interface goalposts and milestones. This underscores the importance of strategic regulatory contribution to the industry. In order to be valuable contributors and critical business partners, the global regulatory affairs organization must develop mechanisms and establish systems to ensure it has the right people and talent, proficient processes, prolific productivity, phenomenal performance and precision in planning. FDA laws and rules needed to with success develop and commercially market medical devices within the US. Topics include: product development/approval method, post-market controls, state and federal website inspections, social control activities, and suggestions for operating proactively with the authority. The term medical devices or Medical Devices Regulatory Affairs covers an enormous varies of kit, from straightforward tongue depressors to haemodialysis machines. Like medicines and different health technologies, they're essential for patient care – at the side, at the agricultural health clinic or at the massive, specialised hospital. Makers should list their devices with the authority. Institutions needed to list their devices include: makers, contract makers that commercially distribute the device, contract sterilizers that commercially distribute the device, repackages, Medical device reporting and re-labellers, specification developers, reprocesses single-use devices, remanufacturer, makers of accessories and parts oversubscribed on to the top user, U.S. makers of "export only" devices. Medical device rules includes: Medical device reportage, Governmental regulation of medical devices, world Harmonization Task Force (GHTF), optimizing the utilization of Pharmaceutical Regulatory Affairs. ConferenceSeries Ltd is a renowned organization that organizes highly notable pharmaceutical conferences throughout the globe. After a successful conference of RegulatoryAffairs 2015, ConferenceSeries Ltd is currently bringing forth "6th International Conference and Exhibition on Pharmaceutical Regulatory Affairs & IPR” (Regulatory Affairs 2016) slated on September 29-30, 2016 at Orlando, USA. ConferenceSeries Ltd invites all the participants across the globe to attend the "6th International Conference and Exhibition on Pharmaceutical Regulatory Affairs & IPR” (Regulatory Affairs 2016) slated on September 29-30, 2016 at Orlando, USA. Regulatory Affairs 2016 provides the perfect one-stop resource with the information and knowledge resources to help you develop skills and learn proven strategies and techniques to help you overcome the challenges you face in the Regulatory profession. Regulatory Affairs is a profession which developed from the desire of governments to protect public health by controlling the safety and efficacy of products in areas including pharmaceuticals, veterinary medicines, medical devices, cosmetics. Regulatory Affairs importance is to provide the strategic regulatory framework for the submission, to advise on procedures and formats, to collect, evaluate and compile the scientific data and information on the product. Conference share knowledge to the Pharma Industry Professionals, Professors and Students. Both Pharma companies and Bulk drug industries can be involved. The regulation of medical products has been expanding since early 20th century. Regulatory agencies are being established in an ever increasing number of countries across the globe. Those that have established are reorganizing their systems and attempting to harmonize with organizations of other countries. The pharmaceutical, biotechnology and medical devices are among the most highly regulated industries in the world. After years of aggressive, coordinated effort, Florida has firmly established itself as a true hub for the Pharma industries. Today, Florida is home to some of the nation's most highly regarded research centers; over 1,000 biotech, pharmaceutical and medical devices companies; industry leaders - including Actavis, Arthrex, Bristol Meyers Squibb, Johnson & Johnson, Medtronic, Noven, and Steripak. Florida’s 200+ pharmaceutical and medicine manufacturing companies specialize in the development and manufacture of novel treatments, generics, nutraceuticals and OTC drugs. They employ nearly 4,500 researchers, engineers, technicians and workers. Florida boasts the 2 largest medical device manufacturing industry in the U.S. Nearly 19,000 Floridians work in this industry, with a majority of companies located along the I-4 Corridor in Central Florida, the Jacksonville area, and in South Florida. Florida is home to more than 250 biotech companies and world renowned R&D institutes specializing in therapeutics, diagnostics, industrial/ag biotech and other areas. Florida has the science, talent, and support structure biotechs need to succeed. A deep understanding of legal, ethical and policy context is required to effectively navigate through today's regulatory environment. The Florida focuses in pharmacy with concentration in Pharmaceutical Outcomes & Policy to enable regulatory professionals, as well as health systems and insurance administrators, pharmacists, and lawyers to effectively create, manufacture and deliver pharmaceuticals that are safe for patient use and meet the policy and laws in place. Directors/Managers & Business Intelligence Experts, Departmental Managers, Vice Presidents/ Directors, Pharmaceutical Scientist, Scientist, Policy Analyst, Pharmaceutical Companies, Bulk drug Industries, Pharmaceutical regulatory agencies, Professors and Students from Academia in the study of Pharmaceutical regulatory affairs. More than 15 years span is required to develop and launch a new pharmaceutical product in the market. The Regulatory Affairs Agencies explains expenditure spent on each drug annually is $850 million in US. The Indian Pharmaceutical industry is one of the fastest growing industries in India, with a compounded annual growth rate (CAGR) of over 13 % in last 5 years and it is expected to grow at a higher rate in coming 10 years India spends around $300 million, united kingdom $700 , Brazil $200 million , France $550, Italy $400 As per cabinet decision in June 2010 in Japan amended a new policy i.e., Health power strategy through “Life Innovation” and expenditure spent on each drug was $450 million . Internally it cooperates with other department like drug development, manufacturing, marketing and clinical research. Externally, it is the key interface between the company and the regulatory authorities. Industrialized regulatory affairs is to drive compliance, speed to market, and cost efficiency.